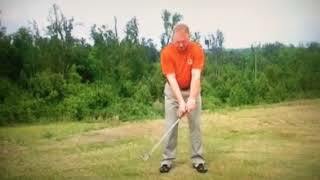 The PGA Golf Swing use Half Swing Circle Center, PGA Because roll over their Arms and Hands in golf swing. The PGA use Half of the Bottom of the Ground. The SGA Golf Swing use Whole Swing Circle Center, SGA Because we don’t roll over our Arms and Hands we come DOWN to the Ground and then go Across the Bottom of the Ground the call UNDER and then Both Arms and Hands come UP to Finish this New Golf Swing. SGA use ALL the Bottom of the Ground. 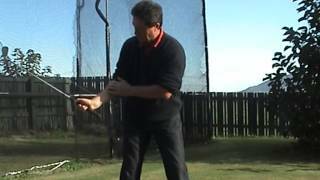 The PGA bend Both Knee or Both Leg Straight in the PGA Golf Swing and Swing FAST Motion. 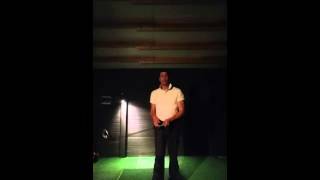 The SGA does not Bend Both Knee, we Left Knee Bend and Right Leg Straight we do this Back and Forward in are New Golf Swing because the Power and Accuracy Start First 10 Second at Top of your Right Side at Top of your New Golf Swing this so Power and Accuracy First 10 Second of your New Golf Swing. We do are New Golf Swing, the DOWN, UNDER & UP, and we Swing SLOWER Motion because so Power and Accuracy and Effortless. 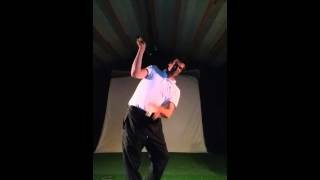 We use the Whole Body in are New Golf Swing, the DOWN, UNDER & UP. Completely Different from the PGA, SGA it like Learning Chest for First Time it Take Your Time to Learn are New Golf Swing, the DOWN, UNDER & UP. See Completely Different. The SGA Golf Swing is Easier on Whole Body because we do the Whole Swing Circle Center. www.sga.golf/www.aperfectswing.com/www.danshaugergolf.com/scientificgolf.academy/SGA/Scientific Golf Academy School Online Course we are the only School in the Whole World that Teaches Everything with Dan Shauger his DOWN, UNDER & UP. PGA does not know what this mean golf term DOWN, UNDER & UP. PGA come and Join are Team with Dan Shauger to Learn his DOWN, UNDER & UP.